Antique copper engraving of Remondini (appr. 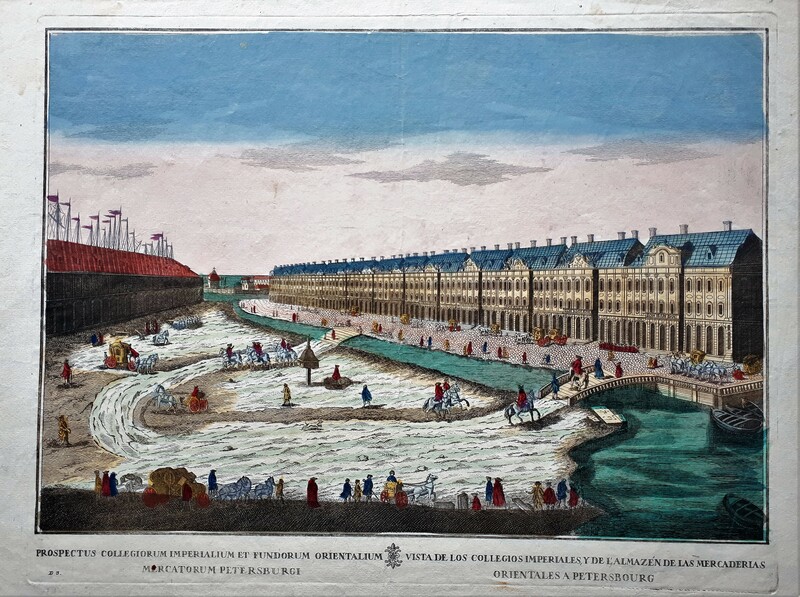 1770) depicting the city of Petersburg. A view of the imperial colleges in St. Petersburg on the left and the warehouses for merchants on your right. Stunning views of the inner city of St. Petersburg, shows the so-called Twelve Colleges, originally built by Peter the Great for his ministries, from 1819 the seat of the State University of St. Petersburg; Old-time colored optica print. Height 32 cm., width 42.